Hello friends! 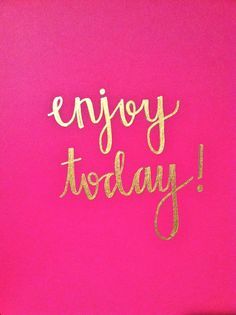 I hope your Monday is off to a great start, and if for some reason it's not, the day is still young and you can turn it around. I know I missed last week's Monday Must-Haves, but you know how life kind of gets in the way sometimes and not everything gets done. That was my last week. Anyways, this week is going to be awesome because this weekend on Saturday here in Jacksonville there are a ton of major events going on and it's what I'm calling Epic Sports Day! So that's what this week is going to be about, how to prepare for an epic sports day. To fill you in if you don't know what's going on, Saturday there is a Jacksonville Sharks arena football game, a Jacksonville Suns baseball game, and the US Men's National Team vs. Nigeria send-off for the World Cup all downtown! Talk about an epic sports day. I'm planning to attend the Sharks game and the USMNT game. So the first thing I'm doing this week to prepare for the Sharks game is brushing up on the roster. There's been a lot of movement the past few weeks with players getting injured or traded. As a media member for this game I have to know who's going to be playing. For the USMNT game I have to buy a ticket! I'm of the school of thought that when an even comes to town that's one of those "once in a lifetime" type things you go no matter what, but the people I am going with are not the same way. So there's been a lot of convincing around my house with friends and family to just go with me. Other than that I think it's really important to know the basics of what sport you are going to see, and I do, so we can check that one off the list! I've been pretty good about keeping up with what's going on with the Sharks on social media, but I've really been slacking on the USMNT social media. I have so many friends who are tweeting and retweeting things from the US account that I've finally followed them. This isn't just going to be good for this week, but throughout the World Cup in June and July. They put some incredible photos up of games, players, and fans, along with live tweeting games. You can follow the US Men's National Team here! It's June, and it's hot here in Florida! I don't know about you, but I hate having my hair down when I'm going to be outside for an extended amount of time. The best way to do my hair that keeps it out of my face and all in one spot is a fishtail braid. I usually do mine to the left side and add a bow somewhere. Luckily for me both of the games I'm going to on Saturday have red in the team colors, so a red bow will do for both! I always use Fudge Urban Sea Salt Spray in my braids so it holds longer and adds a bit more texture. If you don't know how to do a fishtail braid it's so easy! I've been blogging my way through Lou Teasdale's book "The Craft" and fishtail braids was one of the looks I was able to do. You can read it here! For the Sharks game I'm going with my favorite jersey from former Shark Bobby Sewall, so simple execution there. But what about the USMNT game? This is where it gets tricky. I went to Dicks Sporting Goods the other night and none of the merchandise they were selling was very cute. My fear is that Nike and Adidas are going to have similar things, but after looking around my closet I think I found the perfect items! I have a tank-top that says "Land of the Free, Because of the Brave" on the front, and say "Merica" with a giant red bow on the back! Pretty perfect if you ask me. 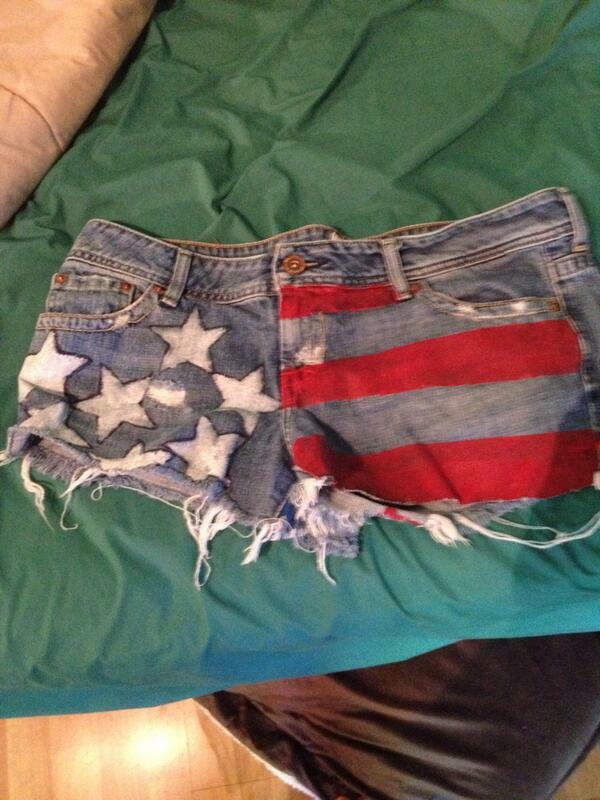 I also have a pair of cutoff shorts I made for the Fourth of July last year that I painted to look like the American flag. Those will get worn as well. The natural thing to do here would be to post the 2014 World Cup song, but to be honest I don't really like it. So instead, I think it's a good week for some old-school Anberlin! Anberlin is my favorite band and they are doing their final tour this year. I love their album from 2005 titled "Never Take Friendship Personal," and one of the best songs on it is "Time & Confusion. So those are my Monday Must-Haves for this week! If you are going to the Sharks game or the US Men's National Team game let me know!